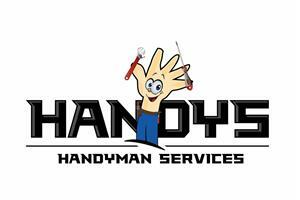 Handys Handyman Services - Carpenter, Home Improvements, Painter/Decorator, Plasterer, Plumber based in London, Greater London. We are a team of 6 people who have a lot of experience and skills in most areas of property maintenance. From the small one day jobs, right up to fully refurbishing property’s which is something we do regularly. We usually split in to two or three smaller teams for the smaller jobs or we also regularly work as a full team for the larger jobs or if customers would like the work finishing quickly. Please have a look at our customer feedback section and the pictures that we place next a lot of them to get an idea of the quality of the work we do. This is something we pride ourselves on and all of the work we do is based around getting good feedback from our customers which in turn gives us a lot of repeat business, recommendations and most importantly happy customers. Please do feel free to contact us with any questions you may have. Email is always the best method for this. Thanks for looking at our profile. We now offer a waste disposal service for domestic or commecial. Our tipper trucks come to site and our guys load up any waste you have and take it away hassle and stress free. No need for a costly skip with the hassle of needing a permit. We come, load it and take it away for you. Simple.